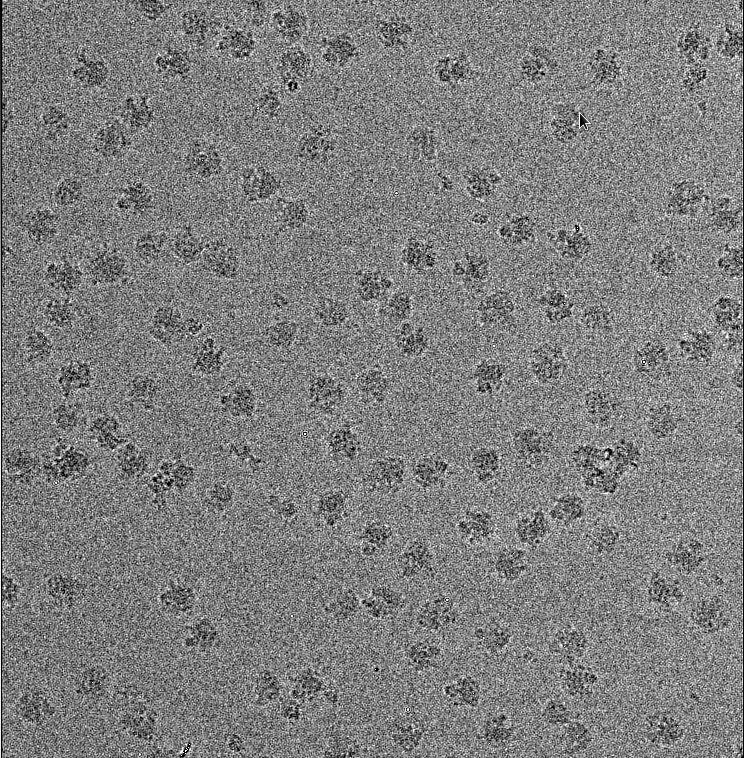 The Vanderbilt Cryo Electron Microscopy Facility (V-CEM) houses three Thermo Scientific cryo transmission electron microscopes for high resolution data collection of biological specimens by tomography and single-particle analysis. The Titan Krios G3i is the state-of-the-art 300kV microscope that combines equipment stability, enhanced automation and advanced software to aid researchers in efficient data collection. This microscope is equipped with a Volta phase plate, Gatan’s BioQuantum energy filter, K3 and Falcon3 direct electron detector (DED) cameras and will be computationally supported by multiple GPU workstations and a local 600TB RAID system. The Polara 300 kV microscope is equipped with both a Gatan K2 Summit DED camera and a 4k x 4k CCD camera for digital data collection. The K2 Summit is served by a dedicated 32TB RAID system for short-term data storage. The Tecnai 200 kV FEG electron microscope has two cryo-sample holders, a high tilt tomography holder and a 4k x 4k CCD camera. Both the Polara and Tecnai have SerialEM installed and have been calibrated for collecting tomographic tilt series and automated data collection. The facility also has a 100 kV Morgagni microscope with a 1k x1k AMT CCD camera for screening negative stain samples, three Thermo Scientific Vitrobots, two carbon/metal evaporators, and a glow discharge unit. The microscopes are overseen by experienced staff who offer consultation and training in negative-stain and cryo sample preparation, single particle analysis, tomography, data processing and additional computational support. The goal of V-CEM is to make TEM accessible to all interested researchers at Vanderbilt. 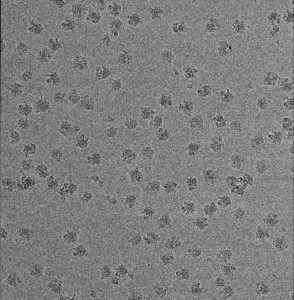 TEM is one of the fastest developing, cutting-edge structural techniques for exploring the organization of biological macromolecules. The unique strength of TEM is its versatility. Structures determined using TEM can span resolution ranges from very low- to atomic-levels (>30–1.8Å) and do not require crystalline samples for analysis. Providing extensive training to new users. Providing advise and support including specimen preparation, data collection and image processing, computational image analysis, and structure determination. Contact us to learn more about V-CEM. Check out our most recent publications.